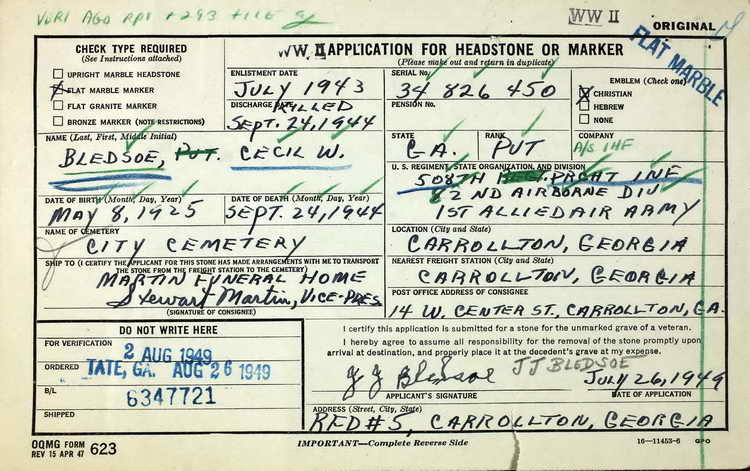 Application for and the resulting grave marker for Pvt Cecil W. Bledsoe in Section D Row 11 of the Carrollton City Cemetery, Carrollton (Carroll county), Georgia. 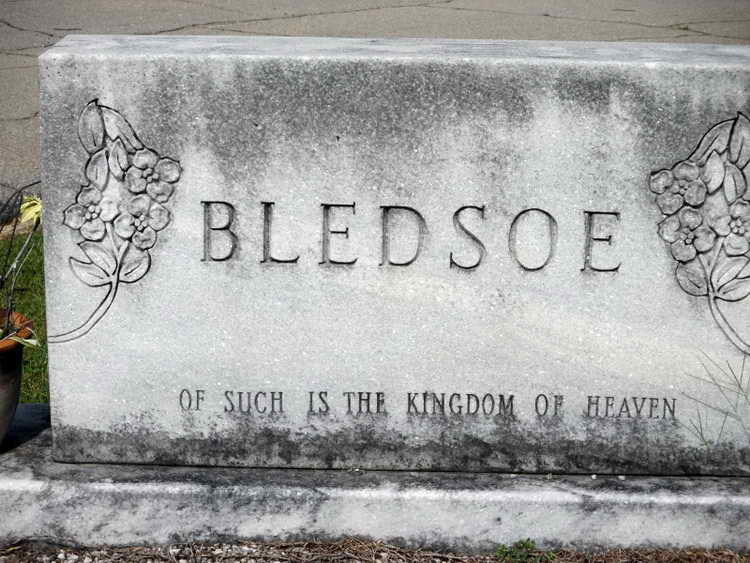 Pvt Bledsoe was known as "Lefty", a reference to his pitching style on the mound when he was on the team known as the Flying Robins of the Laurinburg-Maxton Army Air Base. They were frequently dueling against the 508th team. Oddly enough, Bledsoe was transferred to Service Company from Hq Field Force Replacement Depot No. 19 on 27 May 1944. 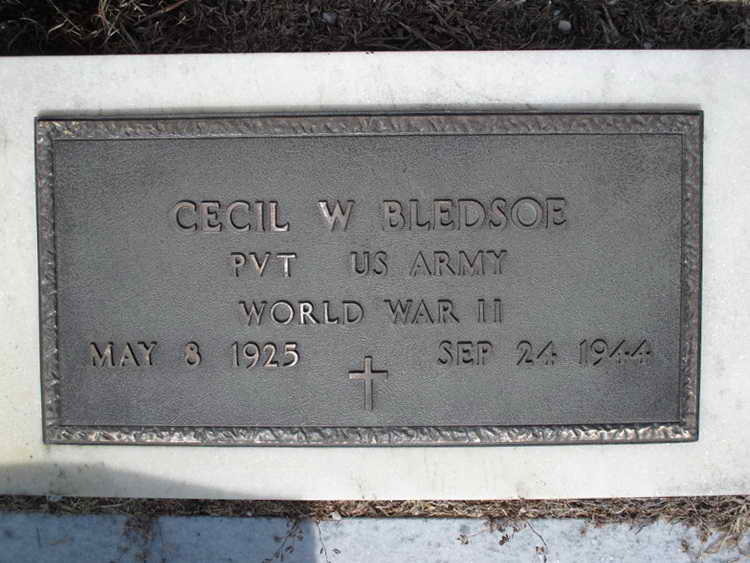 He was subsequently transferred to Company H.
Pvt Bledsoe was killed in action on 24 September 1944 and was posthumously awarded the Bronze Star Medal and the Purple Heart.